Connect a TV, iPod/iPad/phone, or any other device with a 3.5mm headphone output socket directly to your BeoLab active speakers using the 8 pin Powerlink Line input sockets. NOT FOR BEOLAB 1, 6000, 8000, 4000 MK.1 OR PENTA SPEAKERS! One cable will allow two Beolab speakers to be connected. IMPORTANT NOTE: THIS CABLE IS NOT SUITABLE FOR BEOLAB 4000 MK.1, 6000, 8000, BEOLAB1 OR PENTA SPEAKERS - PLEASE DO NOT BUY THIS CABLE IF YOU HAVE THESE SPEAKERS! PLEASE ASK US FOR ADVICE AND WE CAN FIND YOU THE CORRECT CABLE TO USE INSTEAD. This high quality cable will allow you to connect a TV, iPod/iPad/iPhone, MP3 player, Mac/PC computer, or any other device with 3.5mm headphone output sockets directly to your Beolab active speakers using the Powerlink Line input sockets (see compatibility list below). One cable will allow two Beolab speakers to be connected. 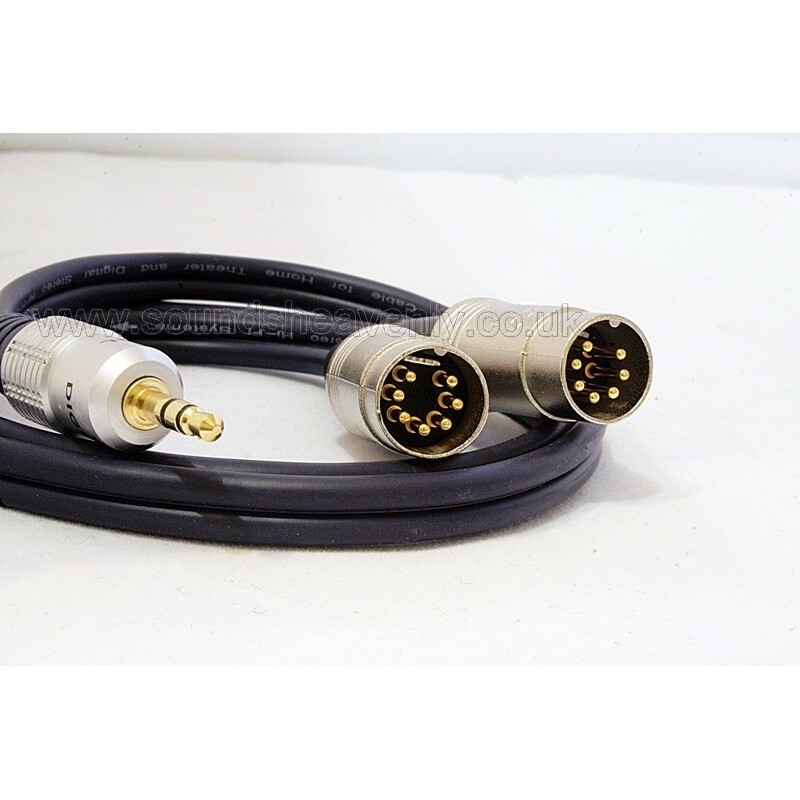 This cable is suitable for the following range of Bang and Olufsen Beolab active loudspeakers, as these systems have Powerlink DIN connections with a Line Input mode, instead of the previous RCA Line sockets. Beolab 12 (12-1 / 12-2 / 12-3) -- Please note, clip-on RJ45-PL adapters required! Please note that this cable is NOT suitable for speakers that do not have a Line input option, eg. Beolab 2500 / 2 / 7 and 10! Instead see our "Powered Trigger Kit" for a solution for these speakers. One of these cables will connect two speakers. A popular use for this cable is for connecting a TV directly to a pair of Beolab 8002 speakers (uses the TV headphone socket for volume control).